Our sweatshirts are known for a very generous fit and extremely durable. 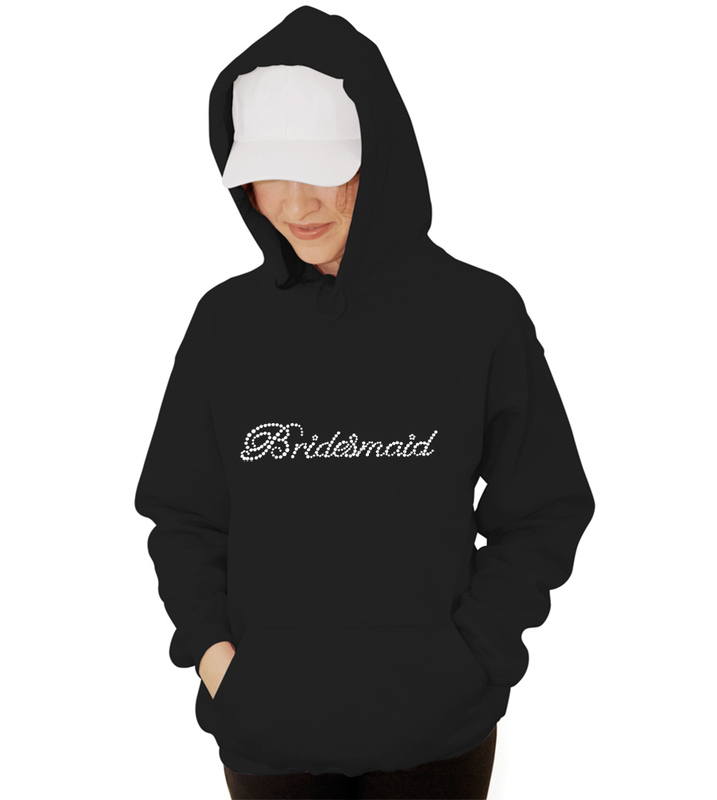 Take your favorite sweatshirt with custom logo Bridesmaid Rhinestones Wedding Hooded Sweatshirtnbsp;for you special event to enjoy the best party of your life. Perfect for any season.Why fuss with a zipper? Just pull this medium weight fleece hoodie over your head and get going. Soft durable fleece with double-needle cover-seamed neck and armholes stays strong when you work or play hard.Machine wash it again and again without hesitation because it's pill-resistant.Ribbed waistband and cuffs and roomy front pockets.Made with up to 5% polyester .Dyed-to-match drawcord. Great gift for the holidays, birthdays, and more.